Get your voucher code to use at the checkout NOW. It's totally FREE and EASY! As much as we’re loving this heatwave, it comes with its own set of problems. How do we keep cool as the temperatures continue to rise? The Summer of 2018 is sure to be one we won’t forget! Everybody is out & about making the most of the beautiful sunshine, of course this means Summer dresses are massively in, as well as shorts & t-shirts making a BIG comeback. Click here to take advantage of our exclusive 15%-off discount code. Just enter FSD2015 when prompted at checkout to claim the offer (valid until 31 July 2019). To All Affiliates and Customers - Offer of the week! nice top girls? Be Jealous introduces you to our fabulous new feature, "How to". This week, with the heat rising and our natural tans emerging, we wanted a give you Be Jel girls, an insight on how to look hot, rocking the sporty chic trend during the Summer months. We'll give you an insight into the many ways you can sport athleisure! SUMMER FASHION IS FINALLY HERE! This weeks 'how to' is especially good to know when payday is far away or, like most of us, you can't afford a quick trip to the Maldives to float around in Pinterest worthy, floaty dresses or teeny tiny bikinis. We wouldn't advise that kind of style if you're walking through Manchester or nipping to the shops. So, with is in mind, all the looks created are affordable while being cute and on trend! However, the go-to comfy essentials are a must but they can be hard to pull off in Summer without our face's melting off, our hair sticking to our heads or the possibility of getting sweaty trainer feet. So how can we look cool yet casual when it's too hot to trot around in cute tracksuits and puffa jackets outside? Our Be Jel blogger babes show us how it's done. Our Be Jel babe Rianna in a puffa jacket for a light wash, oversized denim jacket. Team with pastel colours for a cute Summer look but still keep the uber cool, sporty vibes by teaming with a pair of white sneakers like Rianna. Want to stay cool? Keep it cropped then like our girl Deanna who wore our smoking hot Freya Hoodie with a pair of on-trend cycle shorts. Dress it up with heels like Deanna or keep it casual in black trainers. We can't cope with this sports luxe look! Sarah shows us how to do girly sporty for those cooler Summer afternoons shopping with the girls. The perfect 'good to go' attire. Our CLARA sweatshirt and joggers co-ord paired with slides is our new go-to now! Looking hot this Summer doesn't have to mean sweating. Look fierce in our Grace flame print hoodie like Karen! When your feeling bloated or self-conscious wearing an oversized jumper is LIFE. It literally solves everything. Look red in all the right ways this Summer. Lady in red, Jade, rocks the sporty look literally looking red hot. We love sweat dresses as much as the next girl but Be Jel girl Jade takes our Amelie stripe sleeves sweatshirt dress to new levels by pairing with red booties. We are in love! Welcome to the second edition to our fabulous "How to" serious. With the festival season being fully upon us means adding more festival fashion pieces to our wardrobes. MORE sequins. MORE glitter. MORE prints. MORE fun. Which festival you attend is down to you but we thought all our Be Jel babes could do with some funky festi fashion inspo! You're welcome. A playsuit is a winner over dresses at a festival any day of the week as there is zero chance of accidentally flashing someone. Especially when we've all had a drink... or two. Cover a playsuit with multicoloured sequins and that's a fashion festival match made in heaven! Go EXTRA and drench yourself in glitter while you're at it! As The Gypsy Shrine have just launched their new peel-off glitter makes getting glittered up a lot easier. No mess which = no stress! If you're more understated and don't want to look like the rainbow, we have the perfect festival vibe for you. A classic pair of high waisted denim shorts paired with a floaty boho crop. Ideal if you're on a budget and can't afford a whole new wardrobe for a weekend festival as you're more than likely to own similar items to these. You'll re-wear these items as their staples too not just a one-hit wonder at a festival that's more than likely to end up covered in mud. Go to grunge is a fashion winner in everyone's book. The fab thing about these shorts is the eye'let detailing and distressing which screams cool without trying too hard. P.S. they also aren't ridiculously short so don't worry about flashing everyone! If you're a girl who's all about the subtle details you'll adore this festival look! Mix metallics, lace, denim and corset detailing and you're sure to turn heads in all the right ways. If you aren't comfortable in feathers, sequins, glitter, mesh or basically being half-naked, like a lot of festival goings, then this combo is the perfect mix! Tag us in your Be Jealous festival style this Summer and use the #bejelgirls to be featured on our gram! Be Jealous have got your back because your OOTD starts when you catwalk through duty-free. Always see your fave Instagram icons, blogger babes and celebs rocking the cutest airport outfits and wonder how they look uber stylish yet casual? Us girls at Be Jealous have got your back because your OOTD starts when you catwalk through duty-free. You never know, you might start your holiday romance in terminal 1. So you have got to be looking FIERCE, not frumpy! Our AMELIE STRIPE SWEATER DRESS adds a sporty cool vibe to this trend with the striped detail down the arms. WARNING wear with trainers unless your extra AF then feel free to rock our beaut model's look! Brave. It also comes in red and cream if yellow isn't your thing! However, the yellow would look INSANE for the return flight, especially against that glowy holiday skin! A girly twist on the T-shirt dress, our LEENA FRILL T-SHIRT DRESS is casual but with all the details! The blush pink colour and frilled sleeves make to uber cute. BUT the low V neck and chocker detail give an unexpected 'Insta Baddie' twist to this dress. Making it the perfect opportunity to add a lacey bralette or delicate necklace underneath. Add a light washed denim jacket if you often get cold. We LOVE our EMILIA LIGHT DENIM JACKET, the distressing detail makes it perfect for Summer! A co-ord is the easiest thing in the world to style and our ROSIE STRIPED CO-ORD, being neutral toned, makes it impossible for anyone to look bad in it. It also is available in black if your prone to spilling your airport coffee run down your front. We love the Gucci inspired strip detailing. Paired with the ultimate airport shoe: SLIDERS. This then obviously makes it our new go-to outfit! Life motto: sweats over everything. To see how our blogger babes and Be Jel girls style up more of our garments head over to our Insta. We promise it's STYLE GOALS! Miss Grande's 24th birthday today, . HAPPY BIRTHDAY ARI! To celebrate Miss Grande's 24th birthday today, we thought we'd list of 8 reasons why the world adores her. HAPPY BIRTHDAY ARI! Being based in Manchester, of course, we had to kick off this top 8 with Ariana organising the One Love Manchester benefit concert in response to the tragic bombing at the Manchester Arena two weeks earlier. After our home city was in shock, devastation and tragedy, she helped us stand together and gave her utmost support. She's an angel in everyone's eyes after that. If you've ever seen a clip of one of Ari's interviews you'll know she doesn't stand for any sh*t. Anything she thinks is offensive to women, she'll speak up and will have every girl's back. She's the type of friend who would always have your back if anyone spoke badly of you. PLEASE MAKE IT YOUR BIRTHDAY WISH TO BE OUT NEW BFF ARI! If you haven't seen Ari's impressions of celeb's singing or her on point Jennifer Lawerence impression then your life hasn't begun yet. If you haven't, we are here to educate you, so please watch the video below before you read on? Watched it? If you aren't converted to an Ariana Grande fan yet then we don't know what will. She can sing, act and she's hilarious. Is that even possible? Ari, don't worry girl, we see you and your gram game is lit! From her fierce red carpet style to her cute pics with her besties, Arianna's Insta is giving us all the goals. She's a must follow if you don't already. (We don't trust you if you don't already follow her). Not only is she an AMAZING singer but actress too! Although we love Emma Roberts, OF COURSE, Ari was our fave on Scream Queens. Chanel #2 through and through. Enough said. Every time Ari speaks about her nonna or we see them together, we can't help but fall a little bit in love with them. Their relationship is adorable. It is completely and utterly family goals. We may have seen her in a full on latex suit in her Dangerous Woman music video. However, the fact that Ariana had a Harry Potter themed 20th party and spent her 21st twirling round Disney Land says it all. She's a lil cutie at heart and we love that down to earth side to her! 8. She Uses Snapchat Right! In our opinion, Snapchat is the app to send funny and ugly selfies to your besties. Where you mess around with all the filters trying to make yourself look weird as possible. Where you record your friends doing embarrassing or funny things. For stalking your ex's. Ari girl, you've nailed it. We're forever howling at your funny stories. Well done! These are just a few reasons why we love Ari! he 80’s… what exactly is all the fuss about? The music, films and now fashion. We just can’t seem to get enough. From Netflix’s Stranger Things to the soon to be releases Glow season 2, there is a fascination at the moment with all things 80’s related. For anyone who actually lived in the 80’s there was definitely something special going on. Ghostbusters, roller-skating, leg-warmers, Flashdance, Space Invaders… the list is endless. But what about the fashion? Up until recently 80’s fashion was looked upon as being an embarrassment. Big hair, shoulder pads and Dynasty were cringe worthy. Not anymore, you only have to look at the popularity of women's jumpsuits to see that there was definitely some good stuff to come out of the era (particularly for women’s fashion). So, what’s the reason? Firstly colour, the 80’s were bright & optimistic, colour was everywhere, even fluorescent colours were common in fashion. Also, there was an innocence about the time that people seem to like. Remember this was pre-digital, there was no internet, no wifi, mobile phones (even pc’s were rare). People actually spent time together, if you wanted to talk to a friend you had either see them or call their landline/speak to their parents first… can you imagine? It’s almost like everything was just a little bit more real, more colourful. Fashion has always been a great way of expressing ourselves, colourful prints, fun playsuits (in this heat denim shorts). More than anything the 80’s seemed like fun, and if there’s anything ladies fashion ought to be as much fun and dramatic as Glow’s latest season is! This year’s series of Love Island is proving to be ITV’s most popular yet! All the usual ingredients are there – the amazing setting, the beautiful people, the gradual build-up of tension between the contestants and, of course, the resulting drama. One aspect that has garnered more attention this year than any previous year is the women’s fashion. The surge in people going online during the ad breaks illustrates just how popular cheap online fashion has become. Of course, there’ll be many, many pizza orders placed during the ad breaks too! 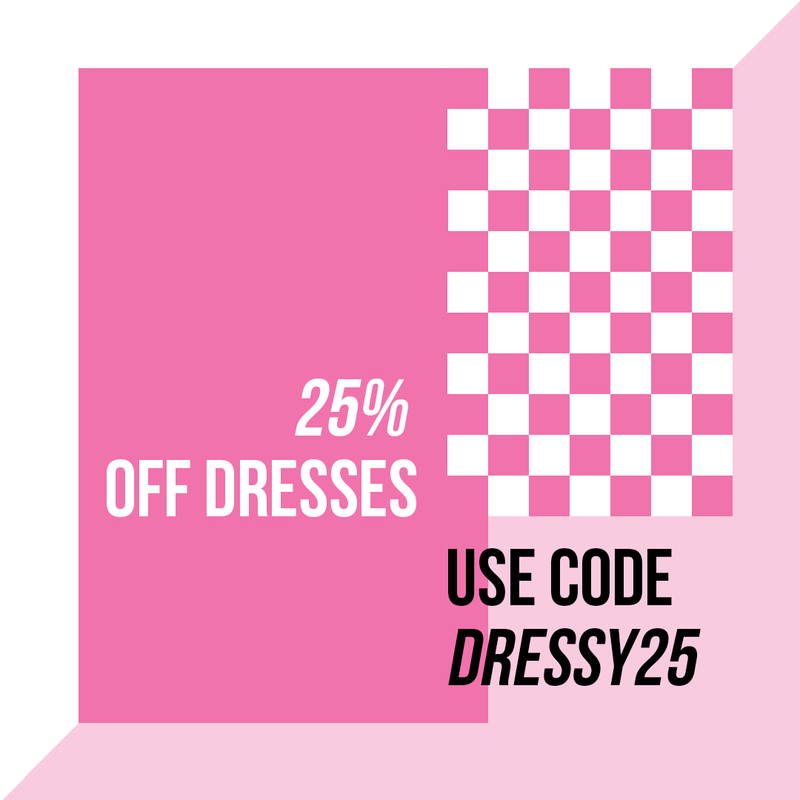 Cheap women’s fashion is not only popular during the summer months (especially with the Summer the UK is currently enjoying) but, also, an affordable way of changing up your wardrobe. 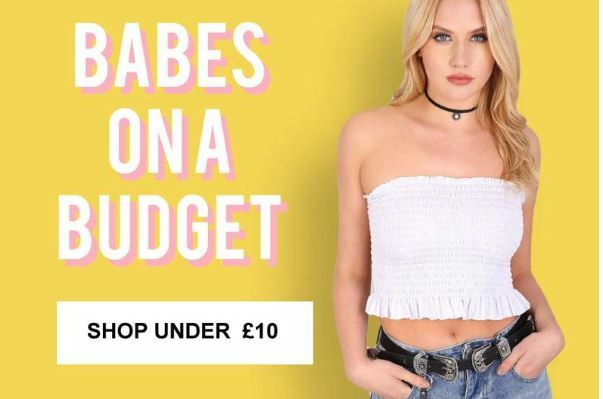 What better way of getting some Summer outfit inspiration than watching your favourite programme then searching online for Love Island style fashion? The key pieces for any Summer wardrobe should include versatile separates. Cool crop tops and shorts can be worn to the park (or to a party if you throw a pair of heels into the mix). Instagram and Pinterest as always are packed with outfit ideas and influencers. Other must-haves include Summer dresses, whether you want to keep it short or go maxi, florals are still big and pastels are on point. To All Affiliates and Customers - Offer of the week! 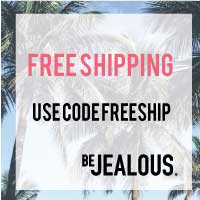 be-jealous is a is a trend-led women’s fashion brand updating your wardrobe with fresh new styles daily, to keep the fashion forward girls looking stylish without breaking the bank! From all your key occasions, to hitting the dance floor, we've got you covered!